Here’s an idea. Angle the tops of the A pillars back more so that the windshield is more close to uniform width from bottom to top, and then extend it right up to the top of the driver’s head. That would give a more “open air” feel when driving. Then when you need to reduce cabin heating in the summer, have a sliding inner roof panel that slides forward to cover the inside of the windshield up to about where it stops now. I think the European version of the Opel Astra had an option for this. 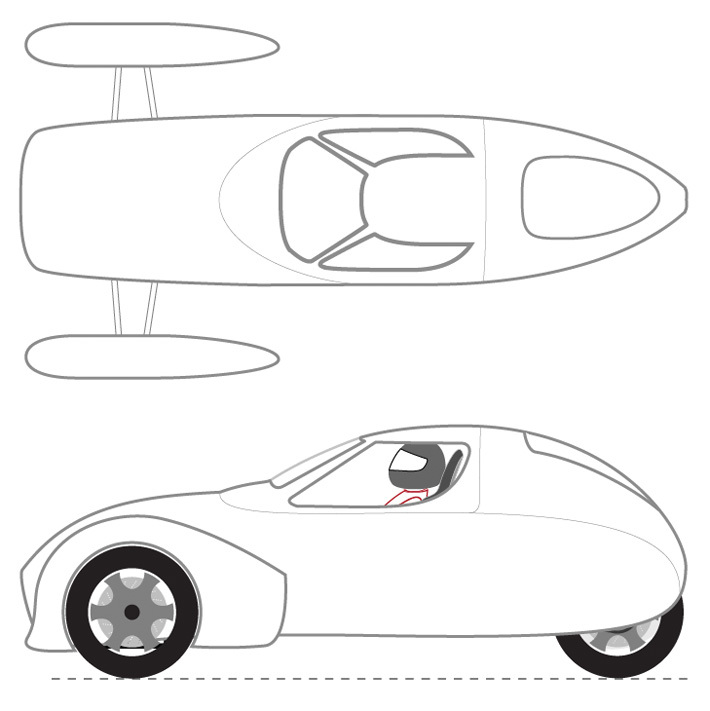 Might not even have to use a “uniform width” windshield, especially if you’re having one fabled for you. Also, on the windshield note, I noticed that a lot of UTVs now have optional “cab systems” with thermoformed plastic panels that attach to the skeleton frame. But of note, they’re using “hardcoated” polycarbonate windshield with a wiper. So maybe you can fab up your own windshield too? Google a few up and have a look. This idea might not look as good as it sounds on paper, but something to try out for kicks. Also, I forgot, what program did you say you are using to do your modeling for the images you’ve been posting? I’m using Adobe Illustrator. 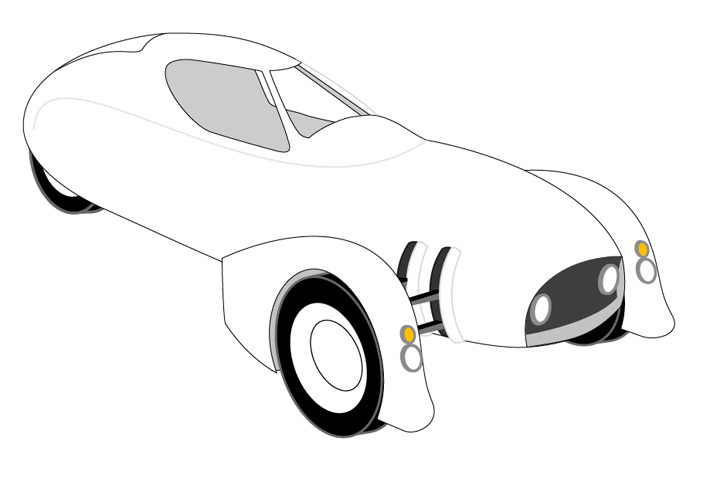 Unfortunately, my 3/4 renderings, good as they look, aren’t very accurate to the shape my chassis will demand. It’s not going to get ugly or anything, it just won’t look quite like what I’ve been showing in perspective. Which is mildly disappointing because I really like the look of this.